Would you like to know more about our activities? Do you want to try out the ANA HUNNA method yourself with a group? 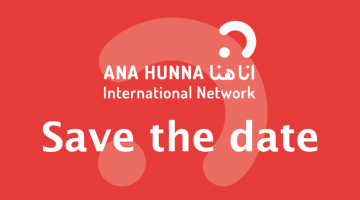 Do you think about supporting the ANA HUNNA International Network e.V. with a financial contribution to the implementation of its activities? Here you are right in any case. We’re looking forward to your contact! Do you like our work? Would you like to support the Ana HUNNA International Network e.V. with a financial contribution? The entire work of the association is based on the commitment and dedication of many convinced people in Egypt, Germany, Jordan, Morocco and Tunisia. There are many ideas for international activities and exchange programs within the network. Your financial support is more than welcome for the implementation! Building our foundation, step by step, integrating all members in the process is our goal. We believe in the joint regional and international expertise of our network and want to foster the exchange between all members and ANA HUNNA friends. Be here – be a partner. You share the vision of ANA HUNNA and are already active in the field of “Women & Work”? We are looking for partners to jointly develop and implement projects in the MENA region as well as in Germany. We have more than 30 national partners in the four countries who are actively involved in the joint project. 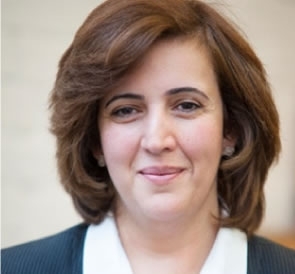 Dr. Abeer Dababneh, 2nd chairwomen of ANA HUNNA International Network e.V., director and associate professor of the Center for Women’s Studies (CWS) in Jordan knows that a strong network needs strong partners. 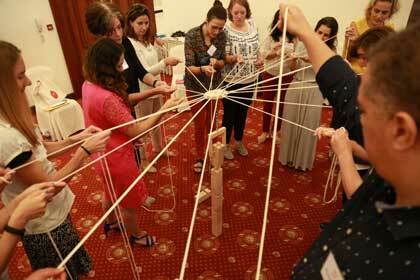 You are planning to organize your own workshop with the help of the ANA HUNNA material? Get in touch via info@ana-hunna.org. Let us know your experience and feature your event on our page. Every feedback contributes to the further development and improvement of materials. Nina Alff is a gender trainer, consultant and believes that every man and woman should become a feminist! 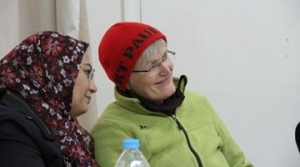 Together with colleagues from all member countries, she developed the ANA HUNNA Educational Kit. Visit ANA HUNNA events, become part of the ANA HUNNA circle of friends and find out about current activities. Maybe this will give you new ideas for a joint project ANA HUNNA activities? ANA HUNNA is currently looking for partnerships and cooperation projects. Approach us with your idea and get in touch via info@ana-hunna.org. The association is currently not open for new memberships. 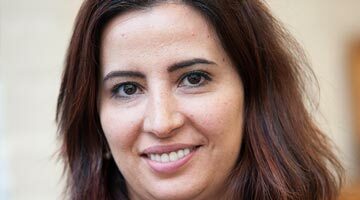 Nour Moghrabi is an active ANA HUNNA member in Jordan and works a national project manager at GIZ, Jordan.